On this special No THANKS broadcast of APEX Express, we say No Thanks to deportations and No Thanks to exploitation of immigrants. 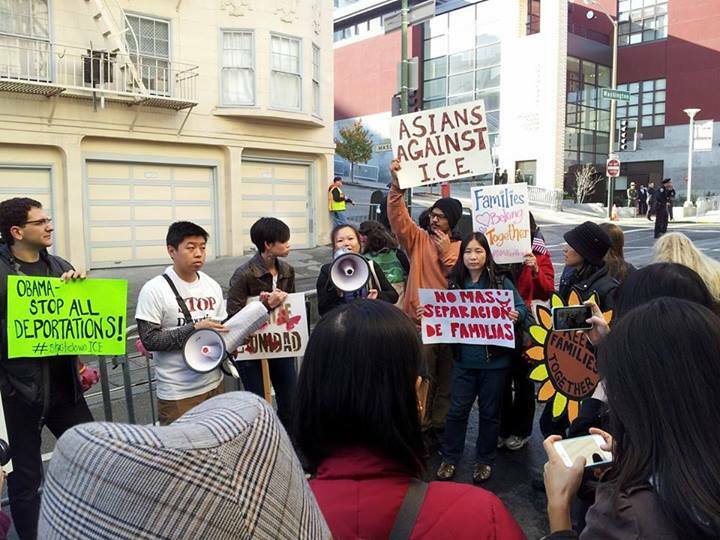 Immigrants rights protest during SF Obama visit. We rebroadcast a show looking at the immigration movement through the lens of artists with a discussion at the Migration NOW exhibition in February. But first take you to a rally held outside of the Betty Ong Recreation Center on Monday when President Barack Obama stopped in San Francisco to encourage immigration reform.